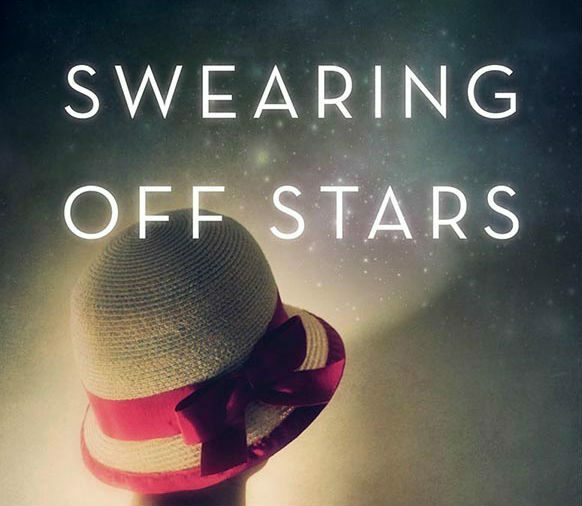 Swearing Off Stars is a romance novel set against the backdrop of the fight for women’s rights at Oxford in the 1920s. Danielle M. Wong’s debut novel tells the story of Lia, a young American woman who joins the fight for women’s rights during a semester abroad. At Oxford, Lia’s life is changed not only by her politics, but by a beautiful redheaded named Scarlett. Lia, who left her childhood sweetheart behind in Brooklyn, has never been with a woman before. Scarlett, despite her handsome boyfriend, pursues Lia relentlessly, first as a friend and comrade in the women’s movement, and then as something more. Scarlett and Lia must face both their personal demons and social constraints as their love grows deeper. Although the women say goodbye when Lia’s time at Oxford is over, it is far from the last time the two lovers will see each other. Nearly two decades later, Lia finds an unopened letter that thrusts her back into the emotions she left behind at Oxford. Despite moving back home to New York and building a life of her own, Lia has never quite gotten over her first love. The novel spans decades and continents as we watch our characters grow, separately and together. While the novel alternates between the perspectives of Lia and Scarlett, I found myself getting to know Lia far better; Scarlett, who becomes a world-famous actress, remains a somewhat elusive, if intriguing, character. Over the years, their relationship is many things at once – tumultuous, steamy, addictive – and, most importantly for the reader, never boring. Although the fight for women’s rights is the spark that initially brings Lia and Scarlett together, Swearing Off Stars is far more a romance novel than a historical fiction text. Wong has clearly done her research about the women’s liberation movement in the early twentieth century and uses it to inform her character’s struggles. Those looking to learn more about the specific history of women’s rights will be left wanting more, but the passion between Lia and Scarlett is more than enough to sustain the story. Swearing Off Stars is tough to put down, spanning many decades and following Lia’s many relationships, romantic and otherwise. I’m looking forward to seeing where in world history Danielle M. Wong’s next romance novel will land. Allison is a writer, reader and native Michigander living in Washington DC. She works by day promoting effective philanthropy at Grantmakers for Effective Organizations and writes both fiction and poetry. She is the recipient of the 2016 Deacon Maccubin Young Writer’s Award for Prose at the 2016 OutWrite LGBT Book Festival in Washington, DC.